Just talking about jails and prisons makes a lot of people uncomfortable but this list of 15 countries with the worst jails and prisons in the world will definitely give you creeps. Safe prisons do not really exist, but those with better security and proper infrastructure are definitely safer than overcrowded prison which will be described on this list. The problem actually arises with the very purpose of prisons and jails which is to rehabilitate persons who have gone astray. Of course, a lot depends on the crime he/she committed, but for those who had minor offenses on their record, the goal is to send them back to the society as productive members rather than culprits. Unfortunately, many prisons around the world are overcrowded which results in very poor living conditions and increased violence among the inmates as well as between the guards and inmates. Besides that torture, corruption and staying for a prolonged amount of time in a solitary is often a common trait of worst prisons in the world. Since most of us probably want to learn about prison life by watching movies or documentaries, you might want to check out our list of 7 Best Prison Documentaries on Netflix, Hulu, Amazon Prime and YouTube. 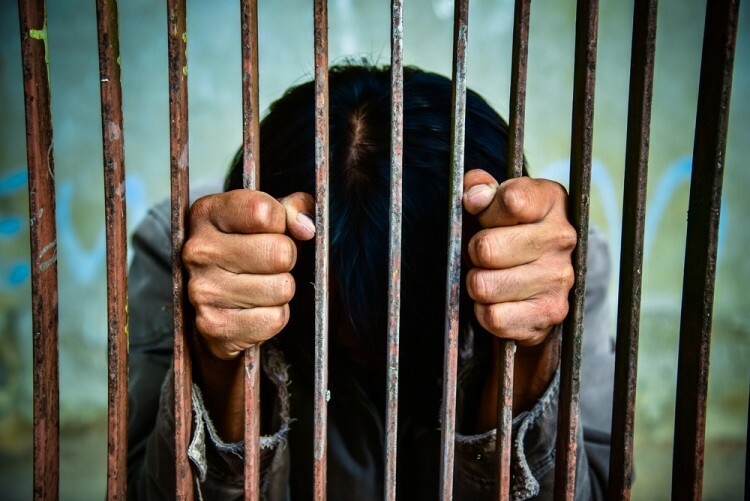 Worst prisons are mostly found in countries with bad justice systems, and to find out which countries are we talking about, take a look at our list of countries with the worst justice system in the world. However, don’t be surprised when you see that our list of worst prisons in the world contains names of developed countries with the functional and good justice system. The US is the example of a country which has both, best and worst prisons in the world. When you hear people talking about scariest prisons in the world, you will often hear them talking about Alcatraz which is located in the US as well. It is dubbed as the worst prison in history that probably had worst prisoners in the world. Compiling this list of 15 countries with the worst jails and prisons in the world was pretty interesting because, let’s face it, we all like to hear some scary prisons stories. However, the majority of information I found is truly sad, and it comes as a no surprise that human rights activists fight against these inhumane prison conditions. Before compiling this list, I took a look at Insider Monkey’s list of countries with highest prison population believing that countries which have high prison population can also have problems with overcrowded jails and prisons. Of course, I was right, and some of these countries are present on this list as well. I advised a documentary movie on worst prisons in the world and an article published by National Geographic that deals with world’s toughest prisons. Since it is a lengthy list, I checked Quora discussions about worst prisons in the world. After singling out countries which were frequently mentioned, I investigated about worst prisons and jails in each of the countries on the list. Since it is impossible to write about all prisons, I singled out the worst prison in each of the countries. Conditions in all of these jails and prisons are horrible, and it seemed inconvenient to rank them from “best” to “worst” since nothing nice can find its place on this list. However, prisons with higher rates of inmate deaths and those that are severely overcrowded are placed higher on the list. Let’s take a look at our list of countries with the worst jails and prisons in the world.